Extremely durable tag molding is tilted upward to enable easy viewing of price tag. 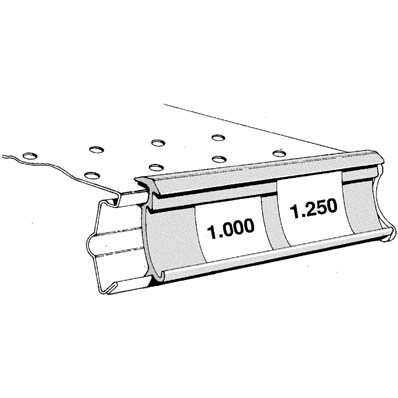 Heavy duty reinforcement prevents cart damage. Riveted on to prevent dislodgement. 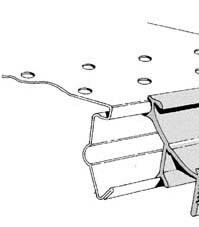 The M25 requires the use of Extended Base End Covers. Available in Gold or Silver finish. 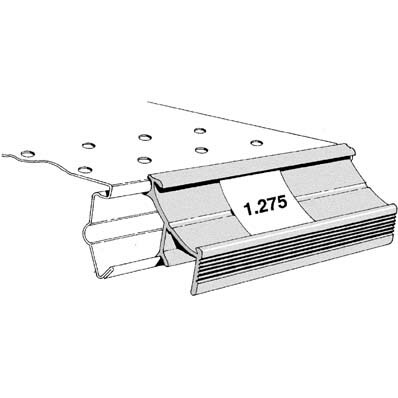 The DGA2 molding accepts 1.25 price tags. 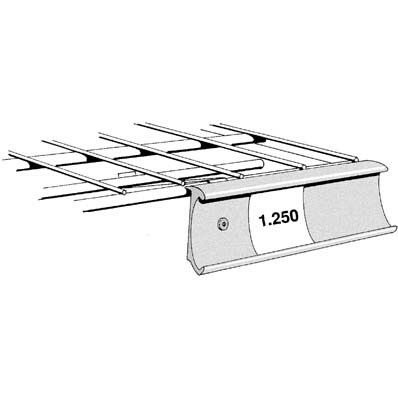 It has a flat back and can be used in many ways, such as attached to a wooden shelf with screws or wire shelves. Available in Gold or Silver finish. 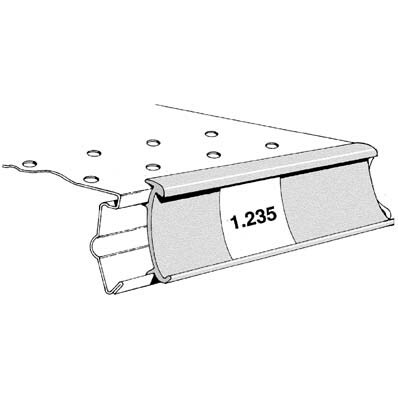 Single position tag molding accepts 1.235 price tags and can be used on either Standard Upper or Base Shelves. Matches DGA2 Tag Molding. Available in Gold or Silver finish. 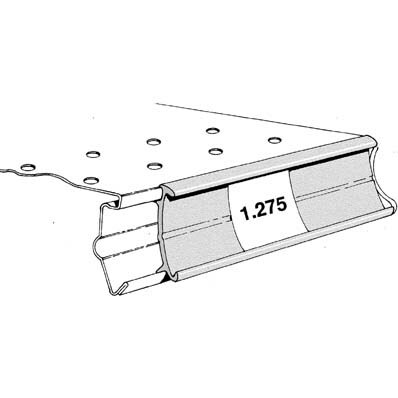 Single position tag molding accepts 1.275 price tags and can be used on either Standard Upper or Base Shelves. Available in Gold or Silver finish. 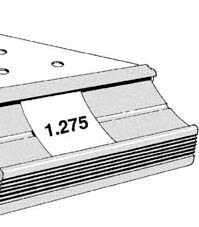 The Two Position Tag Molding extends above shelf skin for easy product alignment. Accepts 1.00 and 1.250 price tags and can be used on either Standard Upper or Base Shelves. Available in Gold or Silver finish. 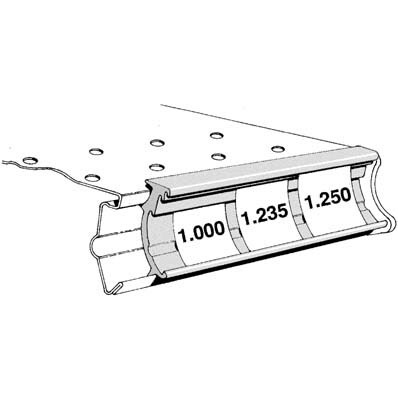 The Three Position Tag Molding extends above shelf skin for easy product alignment. Accepts 1.00, 1.235, and 1.250 price tags and can be used on either Standard Upper or Base Shelves. Available in Gold or Silver finish.